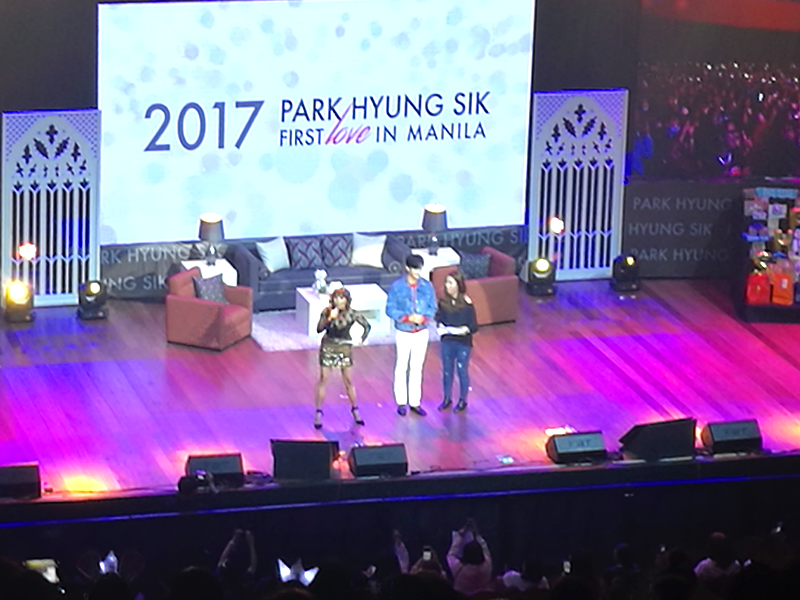 While I'm not over yet from last night's fan meet-and-greet of Park Hyung Sik entitled Park Hyung Sik First Love in Manila, I'm gonna share with you our very kilig experience.. Waah! 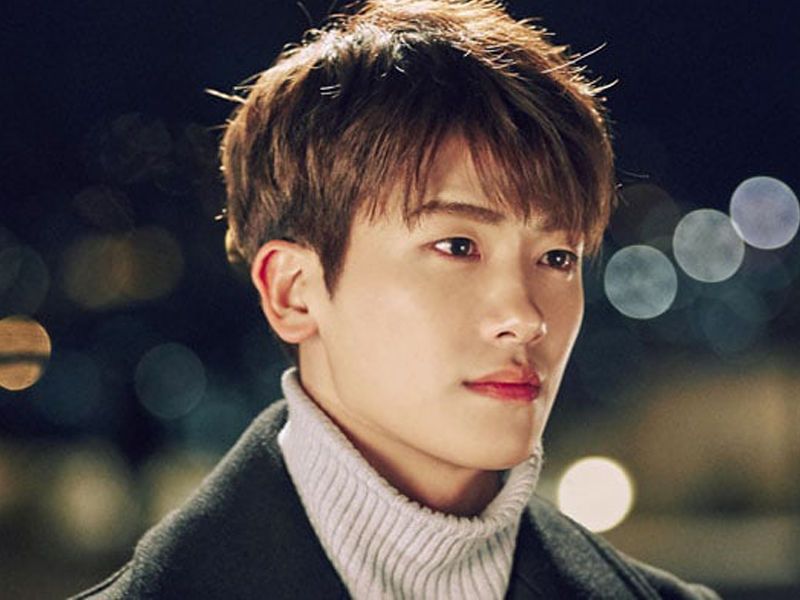 I wasn't really planning on attending Park Hyung Sik's fan meet-and-greet because the ticket is so expensive, and duh, I'm like the most kuripot person you'll ever meet. 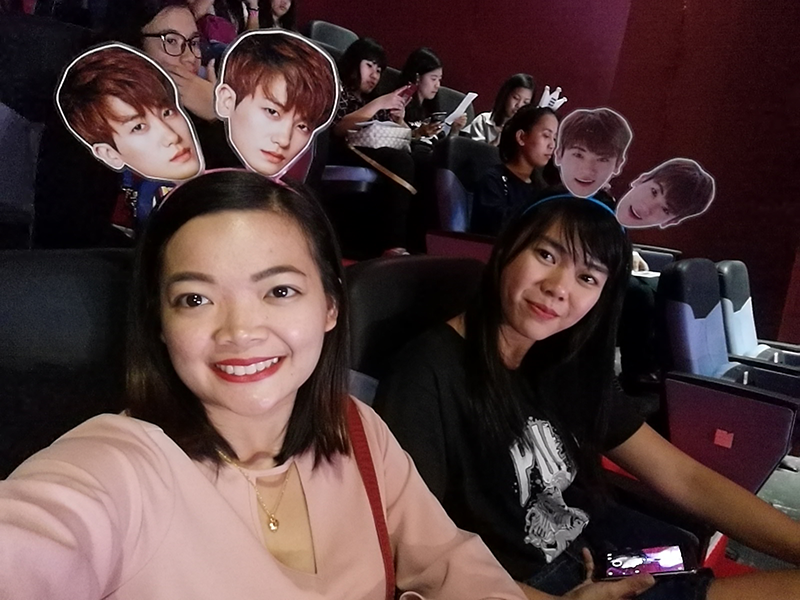 But when my friend invited me to attend the event, I got really so excited and ended up buying a gen ad ticket. Myghad, a gen ad ticket costs around 3,700 pesos!!! Anyway, to sum it all up, the ticket is sooooo sulit! 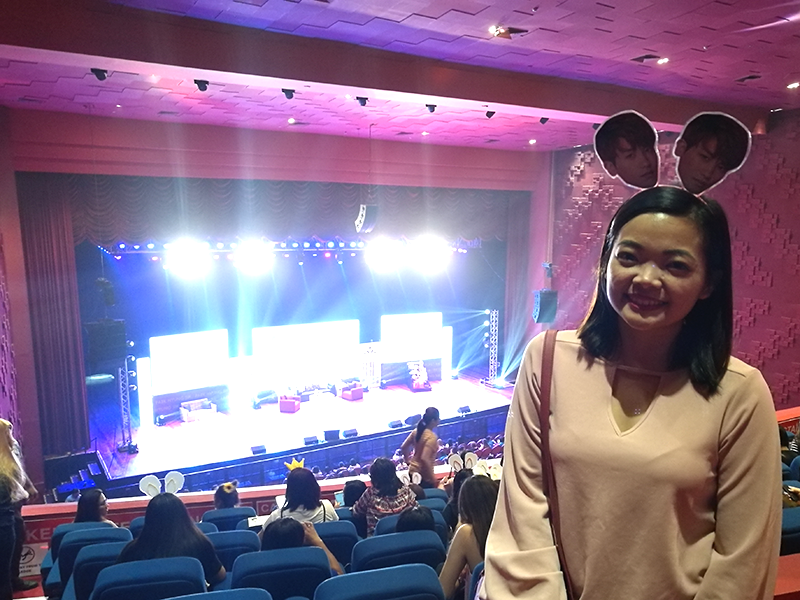 We were so kilig the whole event. Please check out our photos & video below. Hope you enjoy it. 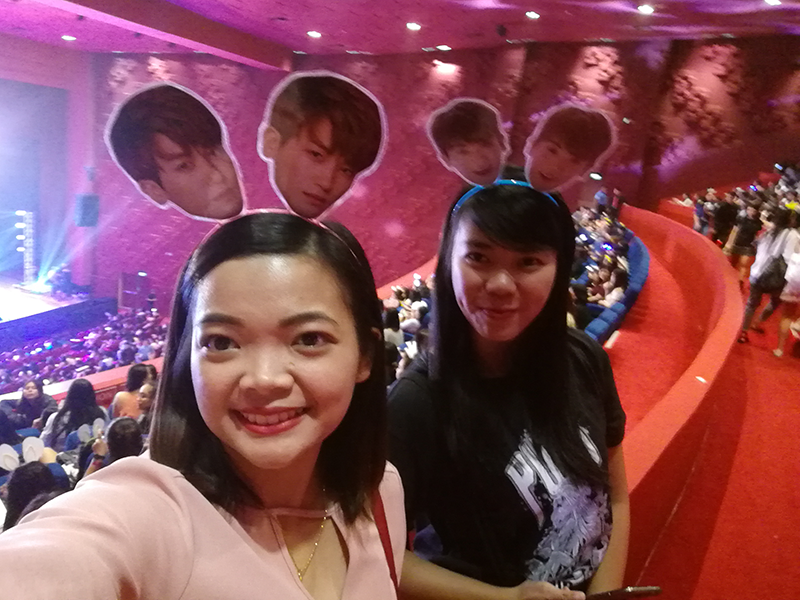 Before the event, we were so worried that we won't be able to make it on time. Our class that day was until 8pm (the event is at 7:30pm, gates opened at 5pm). Good thing our professor was very understanding... after our report, he allowed us to leave the class immediately. Yay yay! We were excited to see Oppa PHS! This was the best photo I can take. 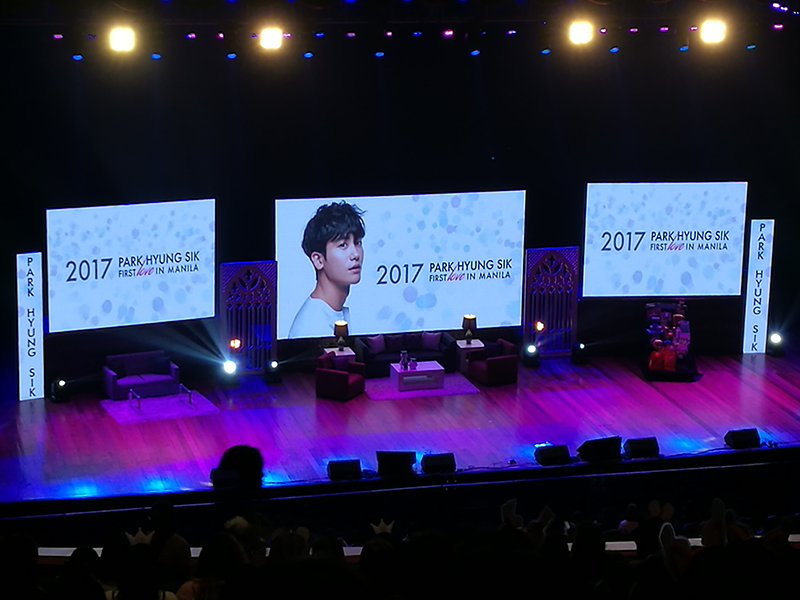 Seated far from the stage (balcony, left side)! 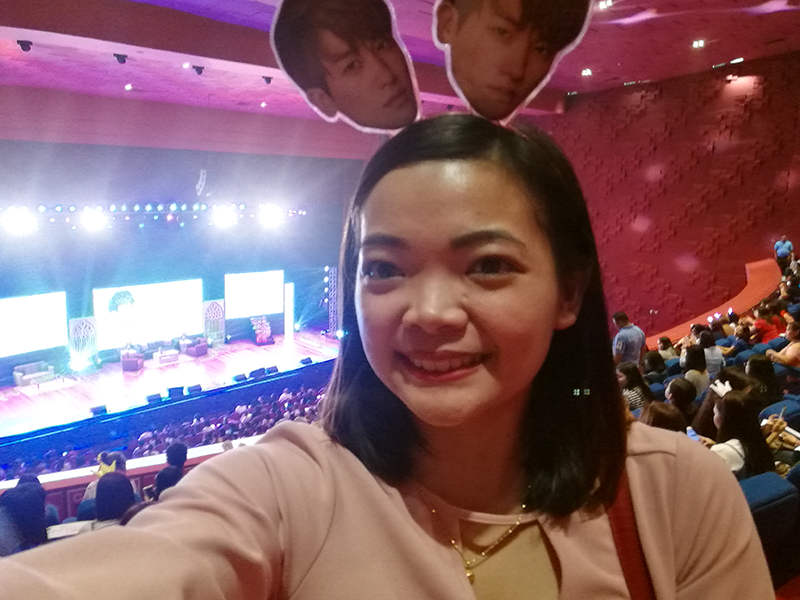 Trying to capture a photo with the stage at the bg, but failed.